Computer desk and chair are two major ingredients when you think about to build a home office model. 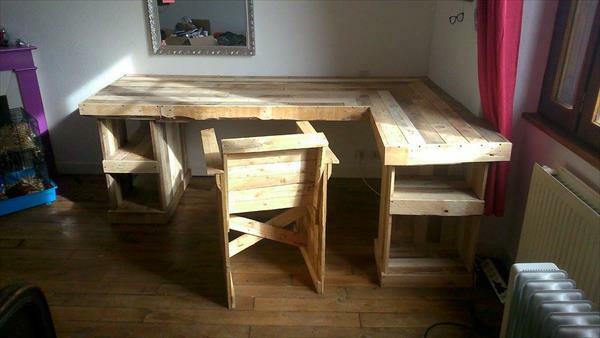 But in order to save money and spend little, make computer desk and chair with your own hands and skills to have complete working structure for your home office. 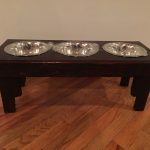 To achieve all this economically, and in frugal way make use of pallet wood or rustic wood. 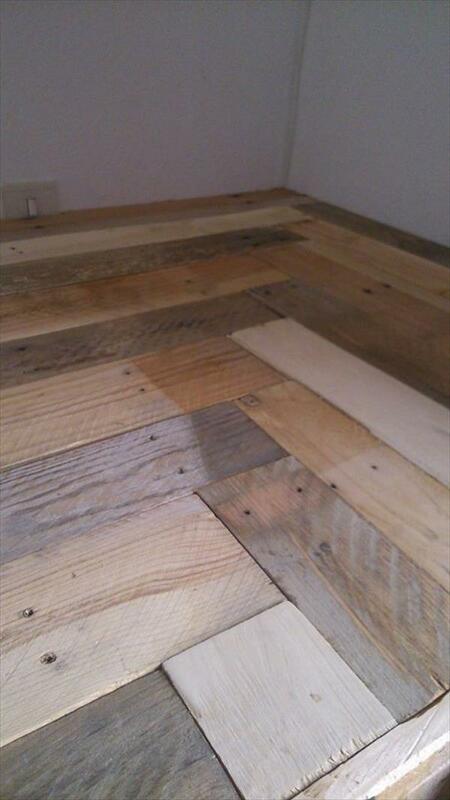 Pallets wood are now easily available for use because they worth nothing after their job done as shipping wood. 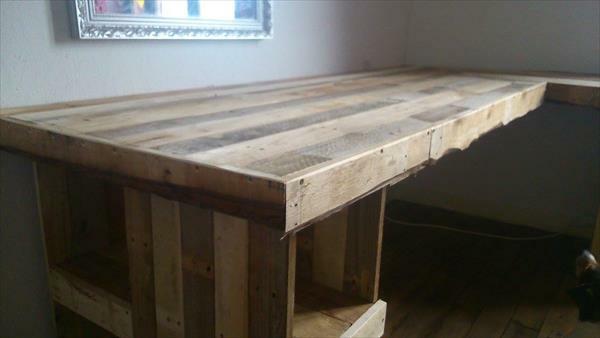 For pallet computer desk, make “L” shaped slab with pallet wood planks by cutting and joining process. After this, we will be needed two drawer skeletons which will serve not only storage for our pallet computer desk but also as legs for our model for computer and office arrangements. Make these drawers with two pallet boards of equal size planks and a pallet divider board in the mid, for making two cabinets of it. Now it comes making of pallet chair, for your home office sitting plan, for this purpose make three pallet frames, two out of three will give you the side walls with cross planks support and third one will be fitted in these two frames at some angle to give you back rest piece of chair. 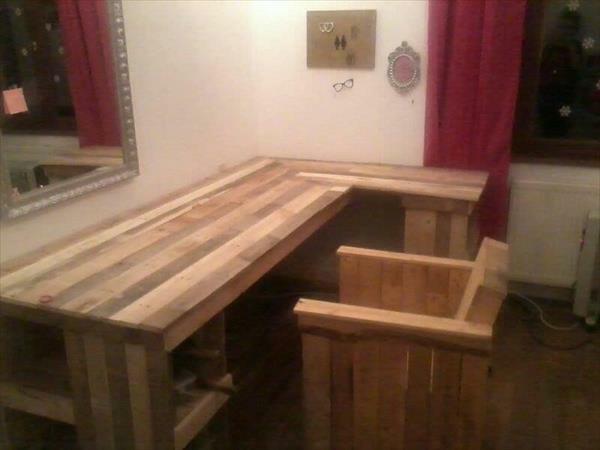 Then after all these things done make frame for seat of chair and we will got our two main parts of home office model. 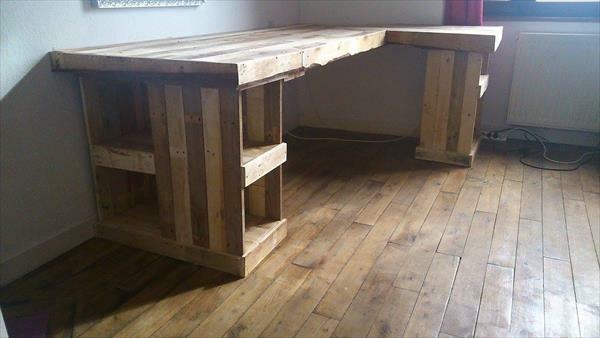 DIY Pallet computer desk and DIY pallet chair have been left in their pure wood forms in this makeover but you can give some colors and decorations with desired feel of fashion and choice. 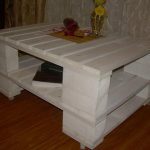 Take benefits of pallet wood in making your home office commodities like pallet computer desk for your computer arrangements and pallet chair model for your sitting needs while doing your office work. First make arrangements for your computer desk, take a look of place of your room you want to build your home office and according to which take measurements. You can join the planks with long head screws or with glue or use both of them to have lovely powerful supporting structure for your computer desk. 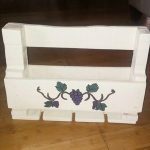 After making the desired items make use of paint and different patterns on them but we left it in pure natural wood form, now it’s done and start your work in newly and economically build home office.